The first question on your mind will be: “What’s the treatment” but until October 2014 there was no real treatment solution. On that day the FDA apporved two drugs: Esbriet (Pirfenidone) and Ofev (Nintedanib). How your pulmonologist will treat your disease depends on what stage you are in, your age, your physical condition (medical history), experience and the current guidelines. Two things are sure – early diagnosis is better with treatment following very soon thereafter. IPF is treated with medicines, oxygen therapy, pulmonary rehabilitation (rehab), and if possible a lung transplant. Since there’s no cure yet, the goal is to slow the progress of the disease down by trying to prevent more lung scarring and increasing your survival time. The secondary goal is to keep you going and improve your quality of life. The basics of treatment are to reduce the inflammation in the lungs and stop the fibroblasts scarring the lungs. Once scar tissue has formed in the lung, it cannot be reversed. To find a treatment, you will be monitored to determine how well a drug is working and what side effects are occurring. Commonly used drugs are Prednisone, Cytoxan, and oxygen. If your pulmonologist can identify an occupational or environmental exposure or strongly suspects such, you may consider changing job, environment etc. Some patients respond well to medication and therapy. They have fewer symptoms, decreased shortness of breath with exercise and improved Pulmonary Function Tests. There are many websites where you can type in your drugs and see if there are any interactions. This site was only chosen as an example to show you how such sites work. A corticosteroid, Prednisone is the most anti-inflammatory medication given to patients with idiopathic pulmonary fibrosis. You usually take Prednisone in pill form. Dosage can vary per patient. Diabetes - Hyperglycemia (high blood sugar). Cataracts (a cloudy area on an eye's lens). Glaucoma (a serious eye condition that can lead to blindness). Osteoporosis (thinning of the skin and bones). Your doctor will explain that when it is decided to stop the Prednisone treatment after long term use, you will have to slowly, and under supervision of a physician, be taken off the drug because of withdrawal symptoms. Cyclophosphamide, a Immunosuppressivealso referred to as Cytoxan, may be taken together with prednisone, or instead of it. Like prednisone, Cytoxan is taken in pill form each day. Cytoxan is one of the original anti-cancer medications and may be used for its immune-suppression properties to slow the fibroses and scar-forming process. Please get informed about the side-effects. Imuran is a drug Azathioprine widely used in transplant patients and it affects your immune system. Imuran is also taken in pill form each day. The action of Imuran is similar to Cytoxan but early studies have shown that it is not as effective. After the successful European study IFIGENIA the US has evaluated the effectiveness of NAC - (N-acetyl cysteine) in people with Idiopathic Pulmonary Fibrosis (PANTHER-IPF). The results contradict the IFIGENIA study and NAC will not be recommended. NAC can be taken in pill form or inhaled. A bronchodilator is a substance that dilates the bronchi and bronchioles, decreasing resistance in the respiratory airway and increasing airflow to the lungs. There a lot of research going on to find a cure for IPF. Two of those, Pirfenidon and Nintedanib, will probably come to the market in early 2015. The website for the U.S. Food and Drug Administration gives you the opportunity to search by typing in IPF or the drug name. The last website is a registry of federally and privately supported clinical trials conducted in the United States and around the world. www.clinicaltrials.gov gives you information about a trial's purpose, who may participate, locations, and phone numbers for more details. This information should be used in conjunction with advice from health care professionals. If you go in this website just type in IPF in the right top corner and only the trials that are focussing on IPF will show. Once you open a page on a drug you will see near the bottom the institutions, hospitals, research centers etc. where people can volunteer and what the status is. Most well-known recent IPF drug is Pirfenidone (Marketing name Esbriet), a drug developed by Genentech. As of May 2010, it is in follow-up Phase III clinical trial named Capacity. The proposed trade name is Esbriet. In May 2010, the U.S. Food and Drug Administration declined to approve the use of Pirfenidone for the treatment of idiopathic pulmonary fibrosis, requesting additional clinical trials. On December 17, 2010 Intermune announced that an advisory panel to the European Medicines Agency recommended approval of the drug and it's now approved for the canadien and european market and marketed under the name Esbriet. It has been approved in Japan in October 2008 and is available on the Japanese market under the name Pirespa. A generic version is available since October 2010 in India under the name Pirfenex. For the USA the positive ruling from the FDA was on October 15 2014 and the market introduction was executed the same day. Esbriet is now available in many countries. 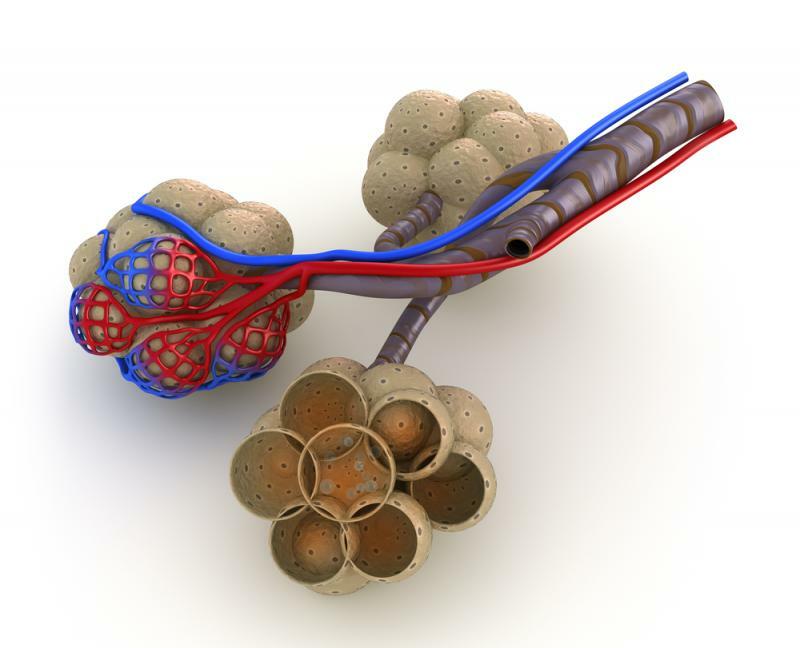 It may be years form now but research is on the way on stemcells and lungs. You can find information on the web but also at the ISSCR. The International Society for Stem Cell Research (ISSCR) is an independent, nonprofit organization formed in 2002 to foster the exchange of information on stem cell research. Be aware of scams and fraud and always consult your specialist. Over the years many drug, sometimes effective in related disseases, have been tried to cure or slow the progression of IPF. Much of that information is still floating around and we are trying to establish a list of drugs whose trials have been stopped or who have been found inadequate by the medical community. We are still working on completing this list. Your input is welcome. A famous quote from President Reagan and still works today. The internet is a great resource and most information can be trusted but keep in mind that there is also information that may not benefit you but only the people who put it out there. The moment you come across a "wonder drug" (and you will) be aware that very often, costly "drugs" are being offered by unscrupulous people. They know that there will be a time that you will try almost everything. Don't buy into that. Trust your doctors and go to them with your questions. Armed, dangerous and off my medication! His doctor gave him a prescription for extra-strength placebos. Oxymoron: One who does not know how to use pimple medication.